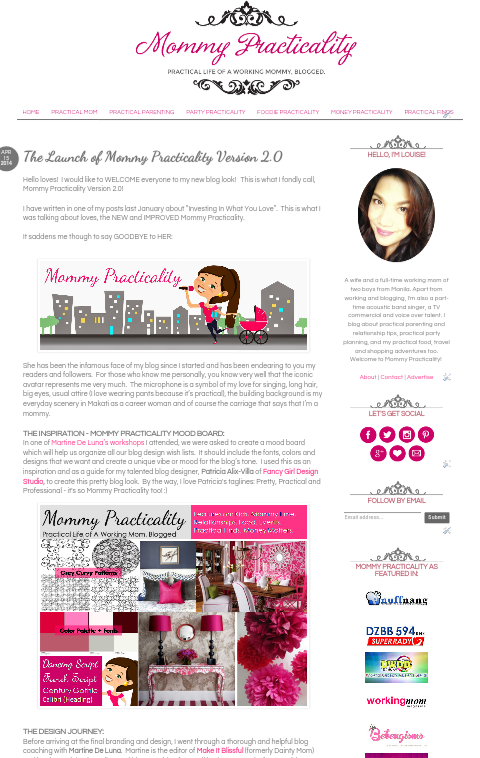 Last April 15, I launched the re-branded and new look of Mommy Practicality. I actually wanted this to happen since last year, after Mommy Practicality turned one. But due to lack of extra time and abundance in home and work demands, it took a back seat. Until sometime in January, one of my listed blog goals was put into reality when I finally contacted Martine De Luna, a friend first and foremost, and a well-known professional blog coach who helps a woman-blogger become the editor-in-chief of her online platform, to write meaningfully and get the blog's voice heard through the posts, and to write intentionally for targeted readers and audience of the blog. If you are just starting, she can help you conceptualize your blog's direction. If you're a tenured blogger but unsure of which direction you want your blog to go or already know what you want and where you want to go but need help in putting it all together, she can also give you a blog critique and guide you through your blog's makeover. Before I took the blog revamp and blog coaching plunge, I've attended several of Martine's workshops. These blog workshops were valuable to me because it inspired me to make a Life Mission statement and to find my real Purpose in Blogging. I also got some branding and writing tips too! My exposure in her workshops made me understand some more how important branding is to one's blog. It's not just the new look that I wanted to revamp but I also wish to focus on the message or tone that I want to convey in my posts and features. I arrived at the mood board, which became the blog revamp's inspiration, in one of the workshops I attended. Having Martine as a blog coach didn't mean I left all the thinking or conceptualizing to her. I see it as a partnership. While she helped me find my blog's focus, heart and soul by providing me a well-thought and comprehensive branding worksheets, I exerted a lot of effort in completing these. Apart from sweat and tears (of joy), research and planning were put into it. The two to three-week work plan turned into more than a month. Adding the web design timelines until my blog's re-launch resulted to two and a half months blog brewing. All I can say is, IT'S ALL WORTH IT! 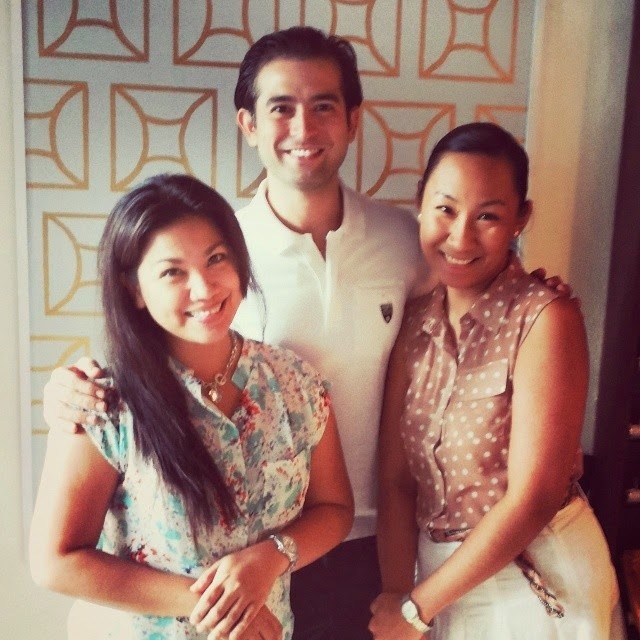 Second meeting with Martine took place at La Creperie, New Manila, QC. The meeting (more of chika than anything!) 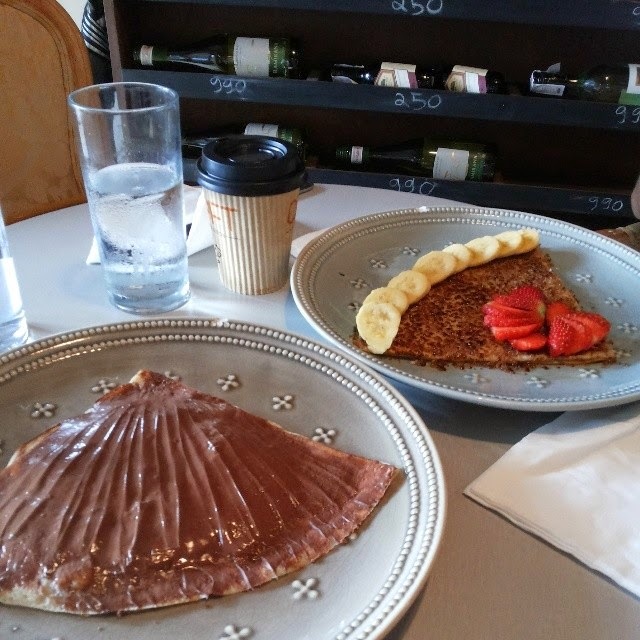 was enjoyed over our lovely and delicious crepes. To my blog designer, Patricia Alix-Villa of Fancy Girl Design Studio, thank you for being patient with me. I (and a lot other more!) LOVE your design! You captured every detail of how I envisioned it to look like. You were very efficient and comfortable to work with! 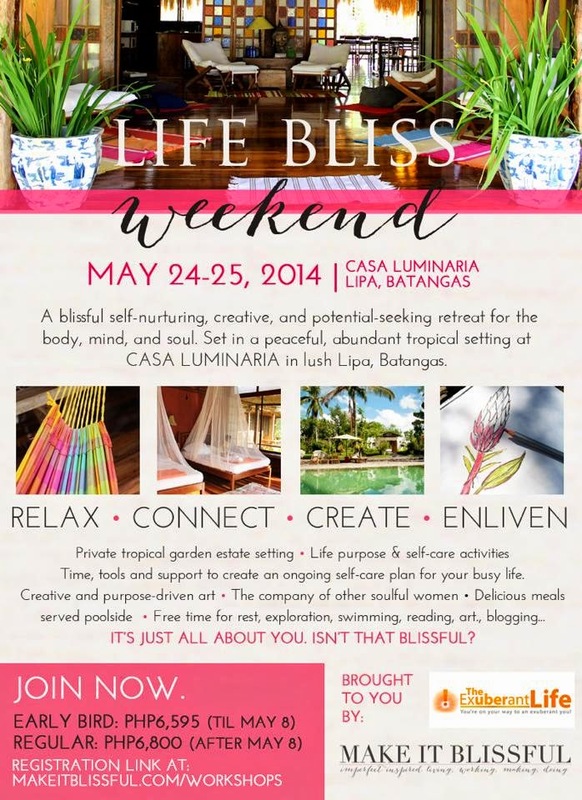 By the way loves, Martine is organizing a Life-Bliss Weekend (A Creative Living Retreat for Women) a retreat designed to inspire and grow both your soul and creative ventures, whether in business, blogging or in your workplace. If you're interested to join, register and signify your attendance HERE. 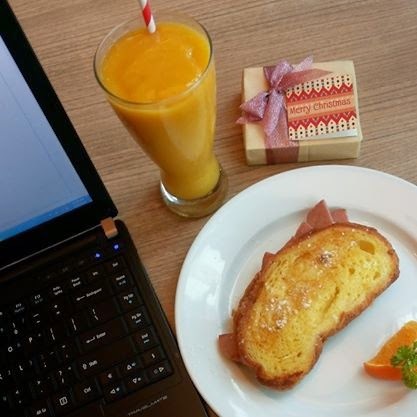 If you're a blogger or a business owner and want to get blog or website coaching and branding, you may want to check Martine De Luna's business website over HERE and her blog Make It Blissful. i love your makeover Louise. I hope one of these days i get to do a blog makeover as well. God bless!